Take after meals and at bedtime. Can be given with infant’s feeds. Shake the bottle well before each use. Children less than 2 years of age: 20 mg (0.3 ml Flacol® Paediatric Drops) 4 times daily up to 240 mg/day (3.6 ml Flacol® Paediatric Drops). 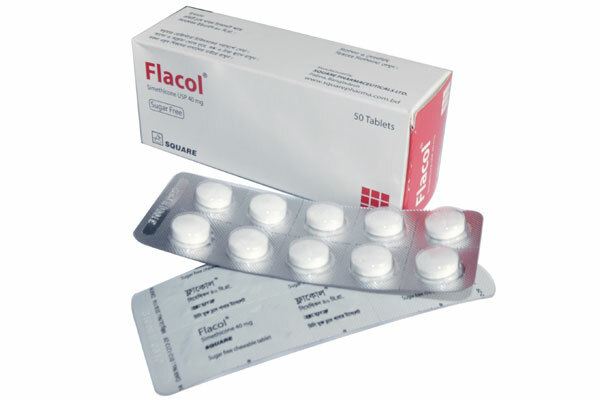 Children 2-12 years of age: 40 mg (0.6 ml Flacol® Paediatric Drops) 4 times daily. Adults: 40-125 mg. 0.6 ml-1.9 ml Flacol® Paediatric Drops; 4 times daily, up to 500 mg/day (7.5 ml Flacol® Paediatric Drops) or 1-3 Flacol® chewable tablets; 4 times daily, up to 500 mg/day (12 Flacol® chewable tablets). 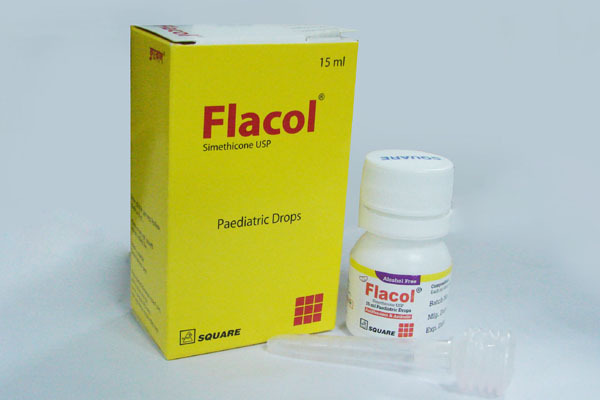 Flacol® Paediatric drops: Bottle containing 15 ml drops with plastic dropper.